These Corporate Crystal Ice Flow awards are ideal to recognize the ultimate in achievement. Boasting a 1" thick body and a unique cut pattern that gives this crystal award the appearance of an ice flow adds another dimension to these awards. 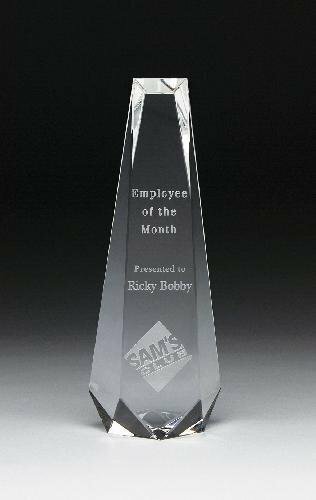 With a choice of 3 sizes, 4 1/2", 5 1/2", or 6 1/2" gives plenty of area for your personalization assuring that these crystal ice flow awards will be a hit. 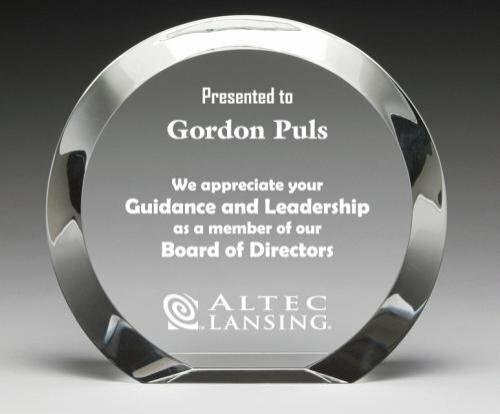 The optical crystal award is beautifully laser engraved and sand blasted for an elegant effect. A handsome blue presentation box is also included with these items. Imagine the expression of the person when they see their name on one of these impressive awards. These Corporate Crystal Kryptonite awards are ideal to recognize the ultimate in achievement. The award is cut at an angle on one side reveling other cuts inside and giving plenty of room for any of your personalization needs. A choice of 2 height sizes, 6", and 7 1/2" give flexibility to meet your recognition needs. These Corporate Crystal Luna awards are ideal to recognize the ultimate in achievement. These elegant awards have a wide bevel cut along the rounded boarder while the flat bottom facilitates free standing to give a crisp and clean look. 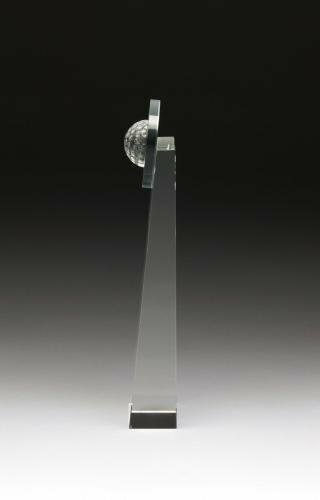 With a choice of 3 sizes, 5", 6", or 7" gives plenty of area for your personalization assuring that these crystal luna awards will be a hit. 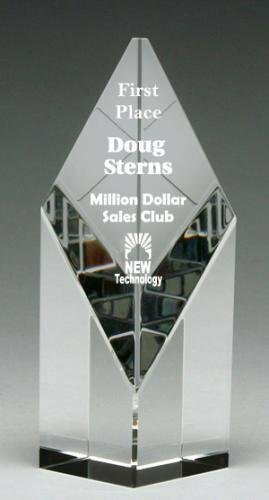 These Corporate Crystal Obelisk awards are ideal to recognize the ultimate in achievement. Freestanding and a unique cut pattern that highlights the crystal adds another dimension to these awards. With a choice of 3 height sizes, these crystal obelisk awards will be a hit. 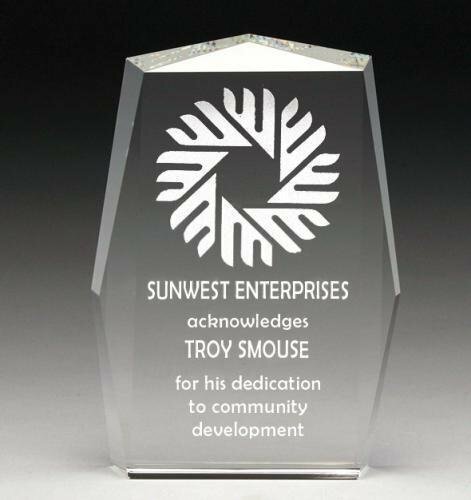 These Corporate Crystal Rectangle awards come with a matching crystal base and are ideal to recognize the ultimate in achievement. 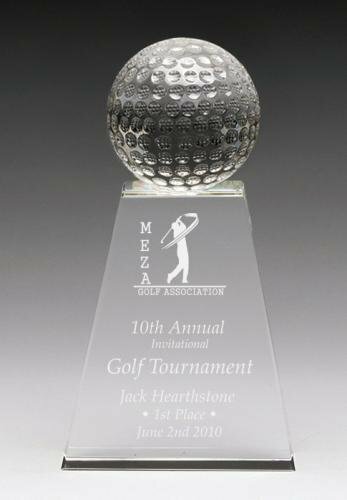 Boasting a 3/4"" thick body and a bevel cut pattern on all sides add another dimension to these awards. 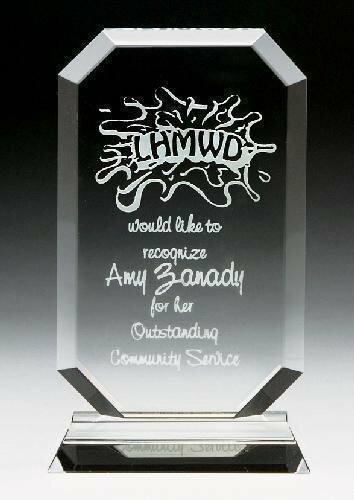 With a choice of 3 heights and with plenty of area for your personalization, these crystal awards will be a hit. 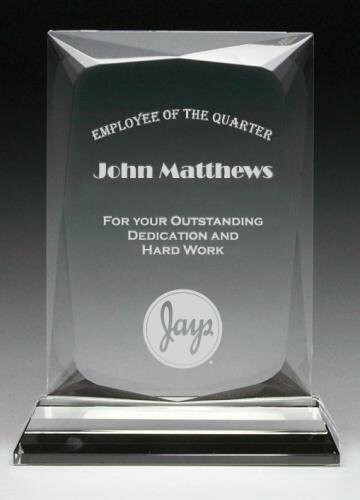 These Corporate Crystal Rectangle awards are ideal to recognize the ultimate in achievement. Boasting a 1" thick body and a unique cut pattern on the sides and top add another dimension to these awards. 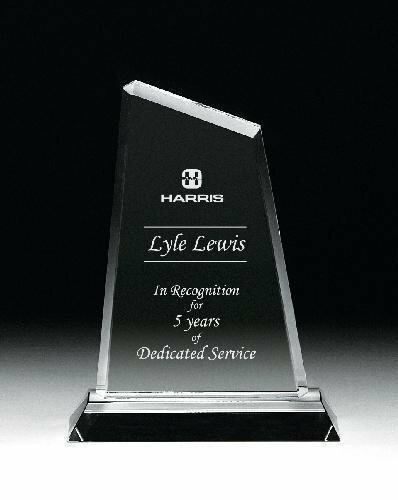 With a choice of 3 sizes, there is plenty of area for your personalization assuring that these crystal rectangle awards will be a hit. These Corporate Crystal Spectrum awards are ideal to recognize the ultimate in achievement. Boasting a 1" thick body and a unique cut pattern around this rectangular shape adds another dimension to these awards. With a choice of 3 heights these crystal spectrum awards will be a hit.